Choosing a full range of appropriate textwords for your search is not easy but several techniques can help. These can reveal alternative ways of expressing the topic. Look at subject headings of relevant citations and the terms used by authors in describing their studies. When searching on subject headings in databases such as Medline, PsycINFO, and CINAHL, look at the scope notes provided. Scope notes usually provide you with a definition and alternative terms for the same concept. A group of experts in the field can be helpful in giving you a brainstormed list of synonyms to start with. They may also help you break down a broad concept into its component parts. 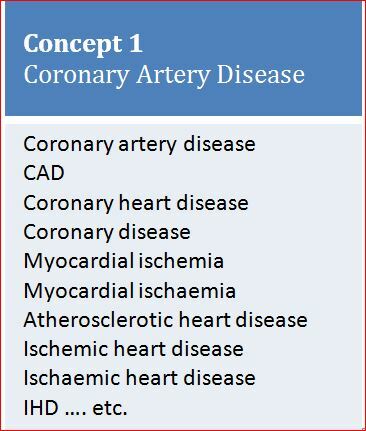 For example, cardiac rehabilitation comprises exercise therapy, educational intervention and counselling. All three aspects should be searched. Once you've constructed your search, test whether it can retrieve articles known to be relevant. If it can't, analyse what is being missed and revise your search. A brief and succinct video explaining the difference between database subject headings and textwords (developed by Nikki May, Health Sciences Liaison Librarian, Flinders University Library). The systematic review search strategy needs to be capable of capturing as many relevant citations as possible. This will inevitably mean sacrificing a degree of search 'precision' in favour of 'sensitivity'. Sensitivity is the number of relevant citations retrieved as a proportion of all relevant citations in existence. As it is impossible to calculate the num ber of relevant citations in existence, maximal sensitivity is an aspiration rather than an achievable goal. Precision is the number of relevant citations retrieved as a proportion of all citations (relevant and irrelevant) retrieved. An ideal search would achieve 100% sensitivity and precision. In reality, searches are always a trade-off between these two values. Systematic review searches should seek to maximise sensitivity while not unduly sacrificing precision. Low precision has practical implications. It can result in the reviewer having to sift through a large number of retrieved citations in order to find a small subset of relevant ones. 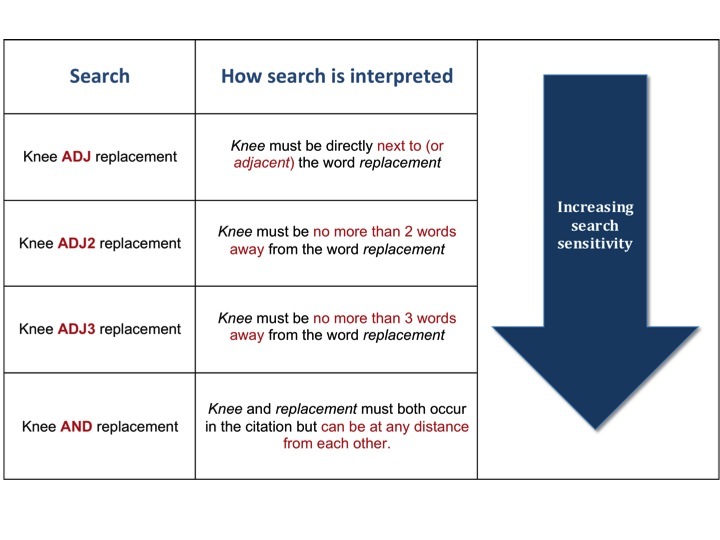 The following systematic review search conventions ensure searches are as sensitive as possible. The search should include the minimum number of concepts required to describe the topic without jeopardising precision. The smaller the number of concepts included in the search, the broader the search. E.g. A search on 'elderly' may be unneccesary when searching on 'dementia' AND 'aged care'. Similarly the concept 'females' is implied when searching on 'postpartum depression'. Subject headings are database-specific thesaurus terms and textwords are the terms authors use in the titles and abstracts of their studies. Textwords help where indexers omit to include relevant subject headings. Subject headings help when authors use unexpected, or less common terminology to describe a concept, e.g. 'apoplexy' instead of 'stroke'. This will include narrower, more specific subject headings. These are offered as ways to improve search precision in databases such as Medline, PsycINFO, and CINAHL. 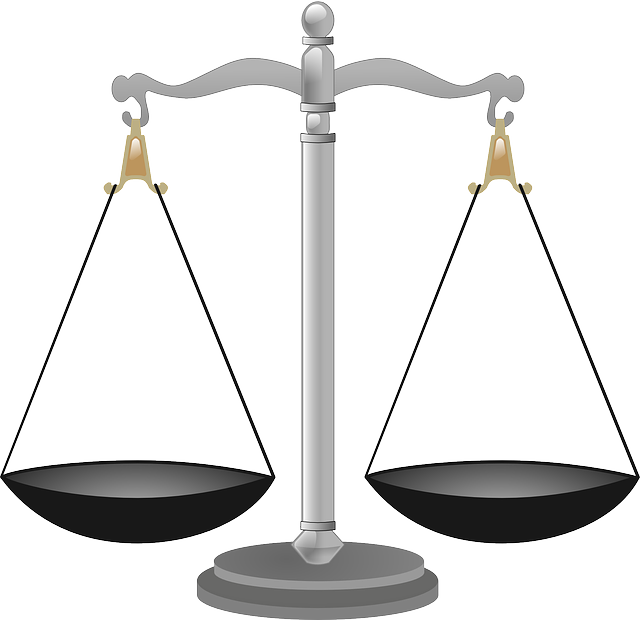 These elements are subjectively assigned by a human indexer which means they can be susceptible to error or bias. Considerable effort should go into identifying an exhaustive range of synonyms for each concept in the research question. These should be combined in the search using the OR boolean operator. Applying the 'Filters' shown at the left hand side of the PubMed results screen will immediately eliminate a subset of PubMed results. This includes citations with the statuses 'in process', or 'as supplied by publisher' which usually constitute the more recently published literature. Sometimes certain textwords can prove too sensitive in a search, bringing in a large number of irrelevant citations. Rather than immediately removing them, try the following techniques for improving their performance. Consider 'anchoring' overly sensitive terms to a more specific context by combining them with another term using AND. For example, if 'Indigenous' on its own is retrieving too many studies focussed on Canadian Indigenous populations, search 'Indigenous AND Australia*'. If anchoring with AND doesn't improve precision, replace AND with a proximity or adjacency operator. These are commands that let you dictate how closely two search terms should occur in relation to each other. E.g. Heart adj3 failure means heart must occur within 3 words of failure. Note: These operators usually differ across databases. Use the Database Syntax Guide if translating a search for a different database. This guide for systematic reviewers gives a side-by-side comparison of search syntax rules across a range of health-relevant databases. These include Medline, CINAHL, Cochrane Library, Informit, Scopus, Web of Science, ProQuest, and PsycINFO. Covers topics such as Boolean operators and their capitalisation, adjacency/proximity operators, wildcards, right-sided truncation, and phrase searching.